A while ago, I wrote about visiting the Sea Life centre in Blackpool for their new sea stars exhibition. 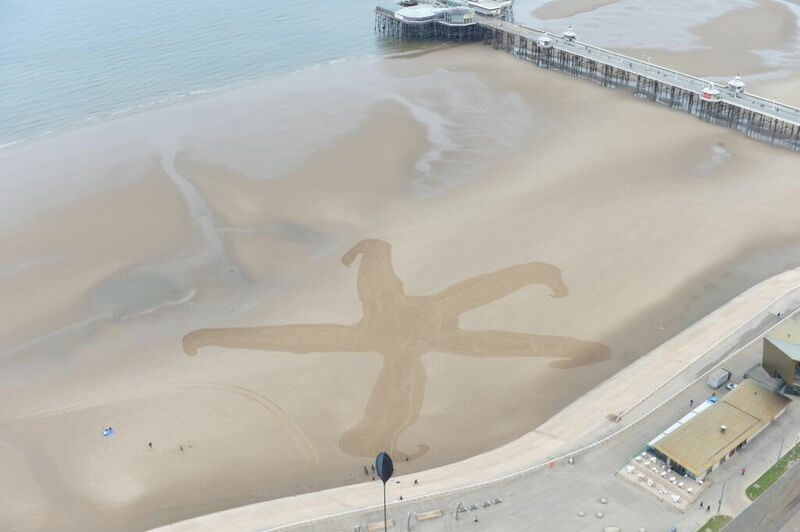 A team of staff from Sea Life Blackpool carved an enormous piece of art into the sand beneath Blackpool’s Tower Headland last month. The colossal sand drawing measured as big as the width of three blue whales, the world’s biggest ever mammal. Two thirds the height of The Blackpool Tower, which stands over it at 519 feet tall and 396 times bigger than an average starfish. The creative masterpiece, which took the team of six, more than four hours to complete, aimed to highlight the conservation of the starfish and the importance of this remarkable and often-overlooked creature. The Sea Life centre have invested £150,000 in their new display highlighting them. The new display features an array of colourful and multi-talented sea stars, which can incredibly regenerate missing limbs and some species can even change gender at will! Aquarists will be on hand in the new display to give visitors a different viewpoint of the sea stars, which have eyes on the end of their limbs. They also eat by remarkably turning their stomachs inside out! 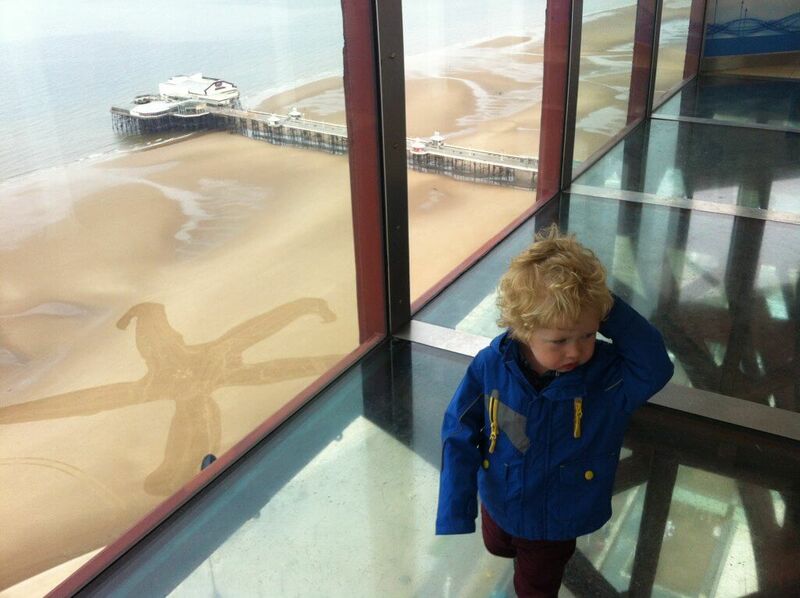 We were lucky enough to be invited to the Sea Life centre and Blackpool Tower to get a proper view of the sand drawing. Once we had been round the Sea Life centre, we headed to Blackpool Tower. We began our journey to the top of the Tower with a visit to the incredible 4D cinema. ‘Let the special sensory effects and incredible filming bring the history of The Blackpool Tower to life in front of your eyes.’ It certainly did that, it was such a good show, showing Blackpool and the Isle of Man in a whole new way. Once the short film was finished, we were taken up the lift to 380ft into the sky to the top of the Tower. We walked onto the five centimetre thick glass viewing platform, where we could look out into the Irish Sea and Blackpool Promenade below. Oh that looks so beautiful! Damn I miss the beach so bad. Haha, maybe I’ll manage to get one this summer. oh that looks amazing and love that you could see it from above – i hate it when you dont get to see the whole image! Ahhh wow looks amazing from birds eye view! That is very incredible. I respect the thought behind the art. Wow that sand drawing looks fantastic. I wouldn’t go up that tower though I’m scared of heights. A beautiful post, I really like the beach, how impressive the drawing of the star, it is difficult to draw a picture in the sand inside the sea. This is cool. We have a guy local here that draws art on the beaches, it’s incredible! This is an amazing, enormous artwork! Oh wow that is amazing, you would have no idea walking along the shore it was there, a little secret you can only spot from high up. That’s really so lovely, isn’t it! So artistic. I’d love to visit Blackpool one day. That’s an amazing sculpture and how fantastic they are trying to raise awareness of starfish. 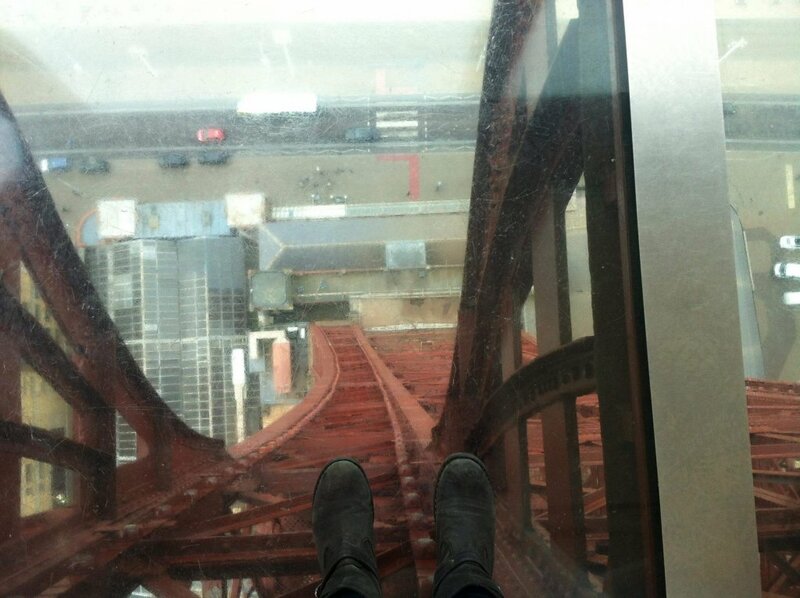 Do you know, I have exactly the same picture as you – with me feet looking down through the glass at the top of the Blackpool Tower! That drawing really is spectacular. We love both the Sea Life Centre and Blackpool Tower. How fantastic is that! I’ve never been to the Blackpool Tower but I would like to! It looks SO high up though! That looks beautiful from high up! Would never have even noticed from the ground level. Ooh that’s fab! We love Blackpool, haven’t been for a while though. I’m terrified of that glass floor! That looks so maxing and from the height also. What an experience!